The Advanced on Camera Class is a comprehensive, step by step course to develop the skills today’s actors need to work in the fast paced world of Film & Television. Like all of our classes we believe strongly in building a base of solid fundamentals in both acting and camera technique. Each week of this 8 week course builds on the skills developed in the previous weeks. 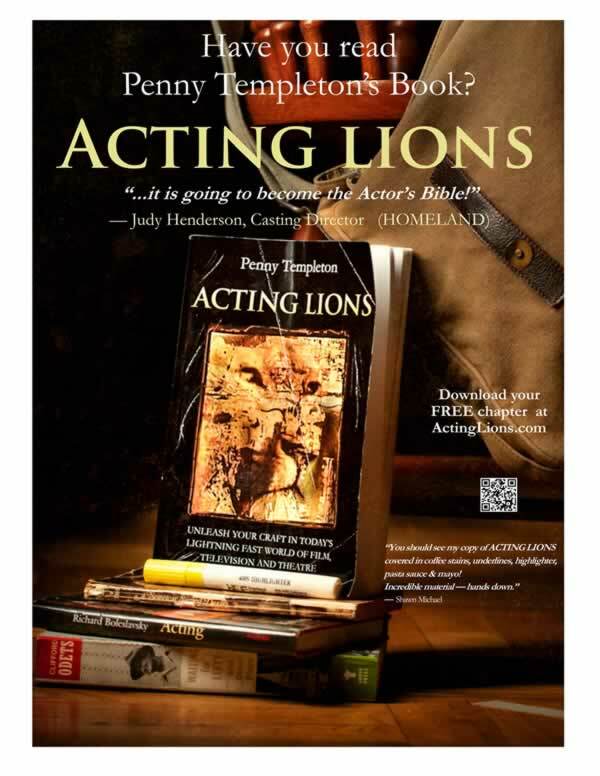 This class has two teachers: Penny Templeton acts as your on set Coach, working on your acting choices in each scene. Hank Schob is your Director and Technical Director both teaching camera technique and also directing all of the scenes. In each class, Scenes are blocked for the the camera shots, Marks are given to actors, the scene is given a dress rehearsal for the cameras and then notes are given. Each scene is then shot using 2 cameras with live editing for playback and the end of each class for final critique. Each week the actors are assigned a new scene that they must have fully structured and memorized and prepared for filming. All the scenes are double cast so the actors get to see other actors making different choices with their roles. Week 4 – Specific Techniques ; Continuity, Eye line, Props, Eating & Drinking: For week 3 the actors are all given the same 3 short scenes. These scenes are used to develop a knowledge of the importance of Continuity in film making as well as learning how to use props including food & drink to emphasize the acting of the scenes. One scene is used exclusively to develop the awareness of the importance of the actor’s eye-line and focus. Many an actor’s best work has ended up on the cutting room floor because the continuity did not match up or the “Eye-Line” was wrong. Taught by Hank Schob. Week 7 – Block, Dress, Tape: In this class each pair of actors are given a carefully chosen longer and more complex scene. These scenes are then blocked for camera, given a dress rehearsal, reviewed with notes from Penny and Hank and then taped. This allows the actors to go home and refine their performances for a few days before the final class using the knowledge gained by watching the final playback and notes from Penny & Hank. * Final week scenes are recorded in HD by both cameras. This raw footage in edited into a high quality wide-screen video file.